The highly acclaimed The Future Population of the World contains the most authoritative assessment available of the extent to which population is likely to grow over the next 50 to 100 years. The book provides a thorough analysis of all the components of population change and translates these factors into a series of projections for the population of the world's regions. This revised and updated version incorporates completely new scenario projections based on updating starting values and revised assumptions, plus several methodological improvements. It also contains the best currently available information on global trends in AIDS mortality and the first ever fully probabilistic world population projections. The projections, given up to 2100, add important additional features to those of the UN and the World Bank: they show the impacts of alternative assumptions for all three components (mortality and migration, as well as fertility); they explicitly take into account possible environmental limits to growth; and, for the first time, they define confidence levels for global populations. 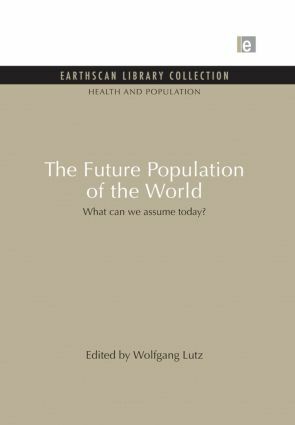 Combining methodological innovation with overviews of the most recent data and literature, this updated edition of The Future Population of the World is sure to conform its reputation as the most comprehensive and essential publication in the field. PART I: Why Another Set of Global Population Projections? How Many People Can Be Fed on Earth?